One of the most influential writings of Spanish literature, Don Quixote is a story centered around a man entranced by tales of knighthood. The Don Quixote Spanish Rapier features scenes of the novel upon its antique style hilt. This decorative replica weapon takes its inspiration from traditional Spanish rapiers of the time, with a clamshell hilt embellished with golden tone details and a round, golden pommel. The stainless steel blade is narrow and long, an ideal structure from the typical jabbing motions associated with fencing. A black sheath is included with this Spanish Renaissance sword, and metallic details appear at its throat and endcap. 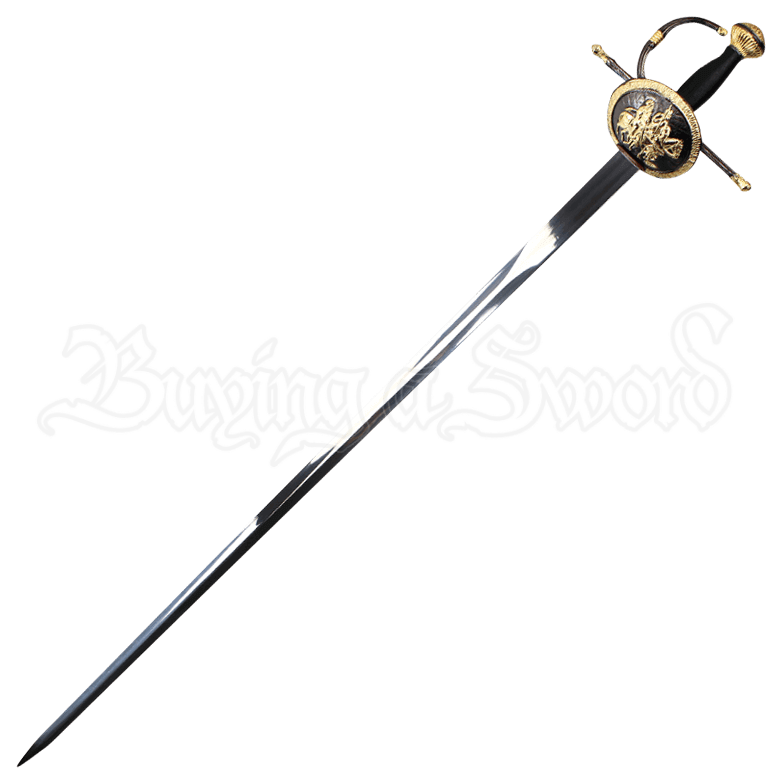 For fans of the iconic Don Quixote story or Spanish history and literature enthusiasts, this collectible 16th century rapier makes an incredible collectible, gift, or home decor piece.